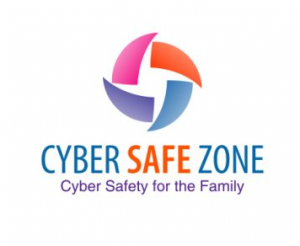 Cyber Safe Zone a project of Asian Mums and Alhambra Women’s Networks are currently carrying out a survey targeted at women and mums to gauge the knowledge and behaviours with regards to Internet safety awareness in the household. Mothers are already feeding back that it can be hard to manage the online attitude and behaviours of teenagers and in particular when they are gaming. Mothers with young children want to be prepared now and in the future to make sure that they have the knowledge and skills to safeguard against any emerging dangers while keeping up with the latest technology and online trends. Mothers have mentioned the need to implement parental control devices such as Disney Circle when other forms of online controls have failed with their children. Asian Mum’s Network is building partnerships with police, local authorities, and community groups and between now and summer we will engage in consultations to ascertain the specific issues that concern parents. Furthermore, Asian Mums Network will explore what the barriers women face within particular communities and whether certain cultural groups are accessing the appropriate resources to safeguard their children against any present and emerging risks are. Our next stage is to build appropriate multilingual resources based on feedback from the consultations. We plan to deliver bespoke training to community groups to raise awareness regarding digital skills Internet safety and implementing policies and promoting safe behaviours within the household. Our media channels will be via our blogs Cyber Safe Zone, Asian Mums Network, Alhambra Women’s Network and our Facebook groups, pages and Twitter campaign. 70% of respondents answered that they have security settings on their home devices. 80% answered that they have antivirus software. Responsibility for Internet usage by children was either equally shared between both parents at 38%, and another 38% of female respondents answered that they took responsibility of internet in the household. 50% of children are given access to the Internet between 0 to 2 hours per day. 40% of respondents said that they had clear rules around Internet usage. 31% said there were some rules about internet usage within the household. 66% of respondents said that they knew what their children did online. 19% of respondents said that they sometimes know what their children do online. According to respondents the most used social media for young people was YouTube followed by WhatsApp, Instagram and Snapchat. 36% of respondents replied that children start to use a social media device from 0 and three years old. The most popular device used by children between 0 and six years old was the tablet followed by the mobile phone. Regarding Internet knowledge and confidence, most respondents answered that they knew little about the dark web, followed by gaming and radicalisation. Respondents were at least confidence talk about the dark web followed by grooming, radicalisation, sexting and trafficking. Most respondents reported they knew who their children talked to online. Respondents said that they wanted to know more about Snapchat and Instagram followed by Twitter, YouTube and Linkedin. Over half the respondents said that the barrier to knowledge of mobile technology and digital media was due to lack of time or lack of professional guidance. 75% of respondents said that they would seek information on Internet safety by a Google search followed by consulting with school, family and friends. 56% of respondents replied that they were not aware of their children suffering from online bullying. 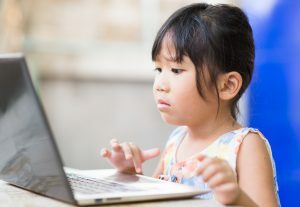 Many Internet safety providers see grooming as a key vulnerability in the online space, however, grooming for radicalisation, and violent extremism is rarely mentioned in online safety training events or resource packs. An example being a guidance booklet for carers of foster children has no clear guidance about grooming for violent and non-violent extremism. Asian Mums Network attended an Internet safety workshop and while many issues were discussed as self-harm, gaming, bullying the influence of online content leading to radicalisation and violent and non-violent extremism was not mentioned. Many resources for parents are provided either online or through leaflets and booklets, however, through the survey, many of the mothers responded that their barrier to educating themselves about Internet safety was due to lack of knowledge, or lack of time. Resources and campaigns for particular community groups should be gender and culturally sensitive and targeted where there is an obvious lack of engagement, understanding of online dangers and barriers to accessing resources. Downloading multilingual PDFs can be challenging for individuals so multilingual resources should be available either via hard copy leaflets or YouTube video clips. This is achievable if products, projects, functions and processes undergo equality analysis. If the national Internet safety providers are not able to provide resources for vulnerable community groups then commissioning and funding for grassroots organisations may be a step forward.